There are books that have backstory and things you need to know about the character’s past, but this brought it all forward and aligned the main character’s history with his present day in a way that was engrossing and unsettling, as it’s meant to be. You can’t run away forever, the annoying voice chided him. Jonathan wrapped a mental hand around its throat and warned it that if it spoke again, he would choke the life out of it. In fear, the voice quieted. balance that is at once honest and frustrating. Jonathan and Eddie just want to plant roots and settle down, but even though they try to deny the past and move forward, that past is coming for them. The romance isn’t perfect and, in fact, is downright rocky, but I had no doubt that this was a relationship worth fighting for. The way the author showed today’s contemporary life of a committed gay couple and mirrored it against the, not nearly distant enough, past is particularly well done. Done so well, in fact, that you may not even notice it happening. We may think we’ve come a long way, but that doesn’t mean we’re not still fighting things we thought we’ve overcome. It also occurred to him that, in the process of making the yard produce what they wanted it to, the earth had to be scarred and beaten up. I found some of the time shifts and flashbacks confusing. Possibly much of this was intentional, but instead of being mystifying it was often unclear. There was also, in my opinion, an entirely unnecessary bigot inserted into the storyline. However, I also found the writing to be, mellow. Not in a dull or slow way, but in a way that helped me keep my calm through a story that may have been overwritten otherwise. This isn’t intended to be a thriller or an edge-of-your-seat read – although it does have its moments – it’s intended to feel introspective while fully gripping you with the story. Achieved. This is my first read by Mr. Feeley, but it won’t be my last. F.E. 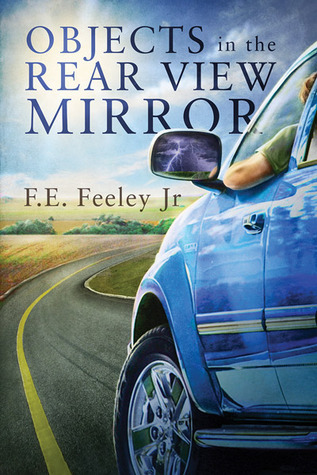 Feeley Jr was born and raised in Detroit, Michigan and lived there for twenty years before joining the military. He is a veteran of the US Armed Services; having done a tour in support of Operation Iraq Freedom in 2002-2003, he turned college student, pursuing a degree in political science. He now lives in Southeast Texas where he is engaged to the love of his life, John, and where they raise their 1½ year old German shepherd, Kaiser. I would like to thank the author for providing me with a review copy in exchange for my honest review. Also, a big thanks to Grammy at http://www.paranormalromanceguild.com/ for another, great recommendation.